H&M x Moschino: Your FIRST look at the new collection | HELLO! April 16, 2018 - 19:29 BST Leanne Bayley H&M has announced its newest designer collaboration, and it’s a super cool one - the high-street brand is teaming up with Moschino. The big reveal occured over the weekend at Coachella festival during an Instagram Live with Gigi Hadid and Moschino’s Creative Director Jeremy Scott. The call, from Gigi to Jeremy, was projected on digital screens at the annual Moschino party in Coachella, California and live broadcasted on H&M’s social channels, surprising guests with the big news. 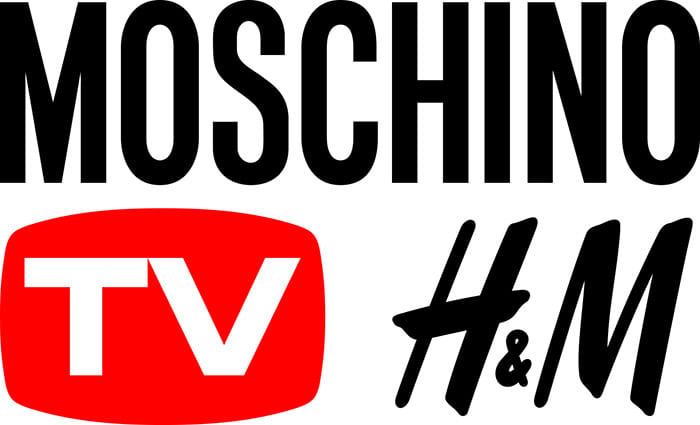 What’s more - Jeremy and Gigi were both dressed in the first looks from the Moschino [tv] H&M collection, so you officially can get a feel of what the collection will be all about. H&M has announced its newest designer collaboration, and it’s a super cool one - the high street brand is teaming up with Moschino. The big reveal occured over the weekend at Coachella festival during an Instagram Live with Gigi Hadid and Moschino’s Creative Director Jeremy Scott. The call, from Gigi to Jeremy, was projected onto digital screens at the annual Moschino party in Coachella, California and broadcast live on H&M’s social channels, surprising guests with the big news. What’s more - Jeremy and Gigi were both dressed in the first looks from the Moschino [tv] H&M collection, giving fans a real feel of what the collection will be about. HELLO! has been told it’ll be “a collection full of the vitality, playfulness and humour” of Jeremy Scott's brand and that it has been designed for both men and women, with a full range of accessories. We’ve also been told there’s some “extra surprises” as well. When asked what we can expect from the new collection, Jeremy said: "What I can promise is that, of course, there will be fun and colour and cartoons. Of course, we have to have cartoons! Like all my collections, it’s humour meets haute couture meets the street. That’s been a hallmark of my work for Moschino, and I want to continue to explore that with this collection. For fans of the brand, it should feel a little like a greatest hits collection, but I promise it will still be new, still feel fresh, even as we include some winks, some hints from the past." And when asked who he'd like to see wear the collection, Jeremy revealed: "Everybody. I want to see all the cool kids that want to wear my clothes, but can’t afford them ... I want people to go out and dance in the collection, have fun, meet the loves of their lives, feel on top of the world, take a million selfies, and keep them forever. I want people to make memories now and then to find them in 2028 or 2038 and put them on again and be like, 'Oh, this is so great. It’s so 2018!'" The italian fashion house is the latest to work with the Swedish high street chain. In recent years we’ve seen popular ranges with the likes of Stella McCartney, Balmain and Versace. For this collection, Vogue reports that pieces will range in price from around £18 but will go up to £210. Jeremy Scott is all about bringing fun to fashion - since he took over the brand in 2013, we’ve seen McDonald’s, Barbie and Spongebob Squarepants-inspired collections, and the likes of Katy Perry, Madonna and Miley Cyrus wearing his designs.